1 Storey House For Sale in East Legon. This one storey house for sale in East Legon has 3 bedrooms with one bedroom boys quarters all bedrooms are en suite, a fairly large compound with open garage, a security post, summer hut. 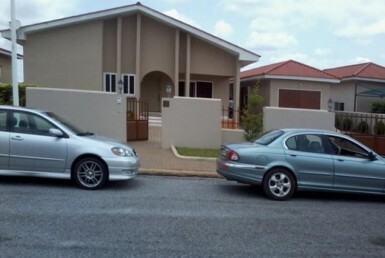 3 bedroom self compound house for rent in West Legon.